Yehudi Menuhin's Potent Blend Of Music, Humanism And Politics : Deceptive Cadence With a career that began at age 7, the violinist became one of the 20th century's most beloved musicians and so much more than a virtuoso. 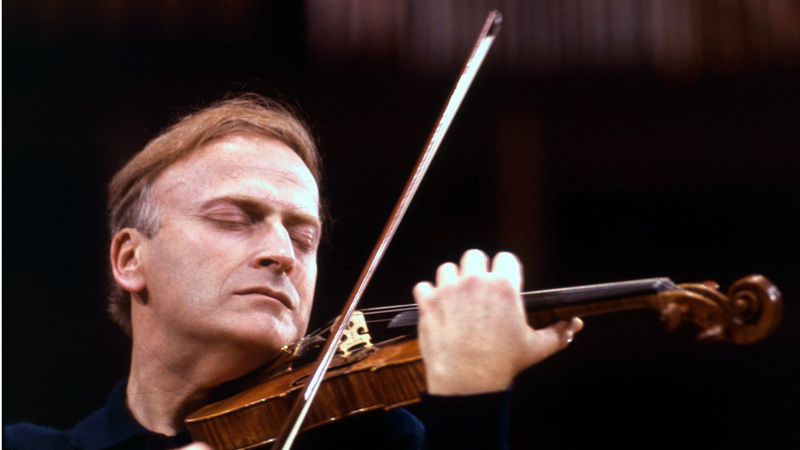 Yehudi Menuhin, born 100 years ago, was far more than a violin virtuoso. One hundred years ago, a musician was born who took the world by storm, both with his violin and with his warmhearted humanity. Yehudi Menuhin was born April 22, 1916, in the Bronx to Russian immigrants. He began his career as an astounding child prodigy in velvet knee pants. But two men who knew him well — documentary filmmaker Bruno Monsaingeon and violinist Daniel Hope — maintain that as Menuhin grew older, he turned out to be far more than just another virtuoso. First off, one shouldn't forget just what a virtuoso the young Menuhin was. By the time he made his first recordings, at age 11, he was already a star. He had made his Paris debut, played Carnegie Hall twice and commanded concert fees as large as $10,000. Critics were using words like "The Violinist of the Century." At 16, Menuhin was at Abbey Road Studios to record Edward Elgar's violin concerto with the composer conducting. The recording, an instant classic, has never been out of print. "He was the most celebrated infant prodigy in history, together with Mozart," Monsaingeon says. He was the most celebrated infant prodigy in history, together with Mozart. Monsaingeon made several documentaries about the violinist and wrote a 250-page book for The Menuhin Century, a new 80-CD, 11-DVD Menuhin box set. It was Menuhin's sound that inspired Monsaingeon to pick up the violin. The same goes for Hope. "Menuhin was definitely the reason that I became a violinist; there's no doubt about that," he says. Hope's mother was Menuhin's secretary, and Hope spent most of his childhood in Menhuin's home listening to him play. "The sound has so many layers to it," Hope says. "It's as if it hugs you. And it was ginormous, and yet it had a kind of anguish and a pain to it, which is highly emotional at the same time." Mentoring young musicians became a mission for Menuhin, as he told NPR in 1992. "I feel that music is a birthright, as much as air and water and food," he said. "I would love to see the day begin in every school with children singing and dancing." Menuhin made the 16-year-old Hope an offer: to tour with him for 10 years. That's when Hope discovered another side of Menuhin. Yehudi Menuhin with his 1733 Prince Khevenhüller Stradivarius. 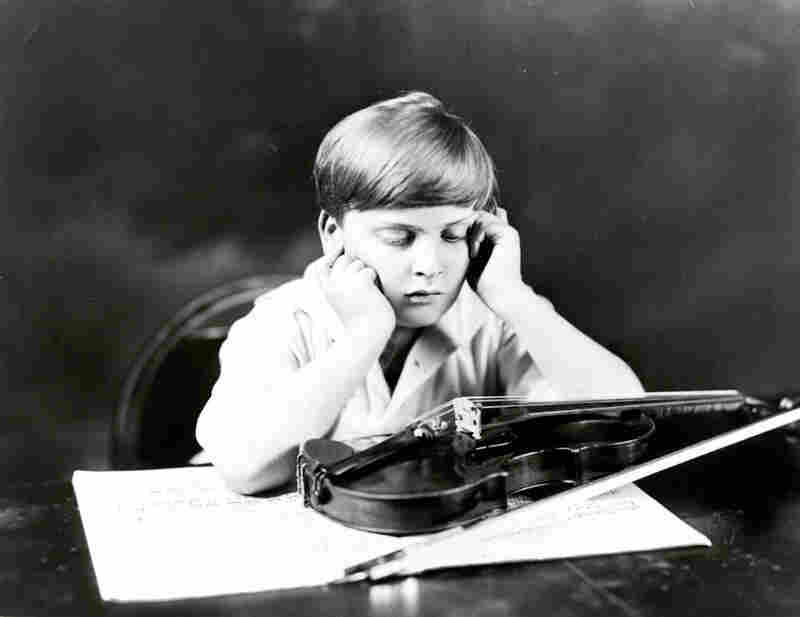 Menuhin received the violin in early 1929 when he was 12. It became his main instrument for 20 years. 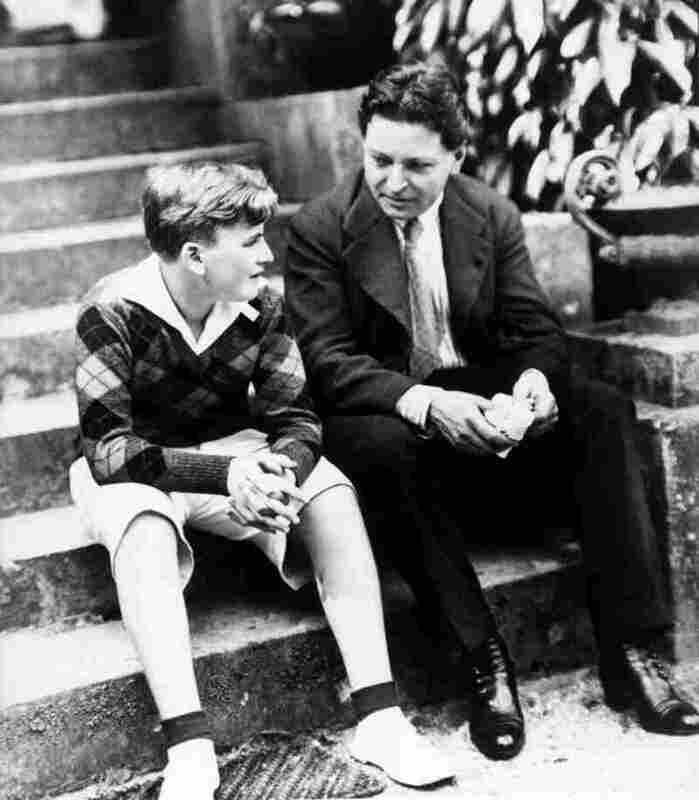 In the summer of 1927, Menuhin began studying with famed Romanian composer and violinist Georges Enescu. In 1932, at age 16, Menuhin recorded Edward Elgar's violin concerto at London's Abbey Road Studios with the composer conducting. An instant classic, the recording has never been out of print. 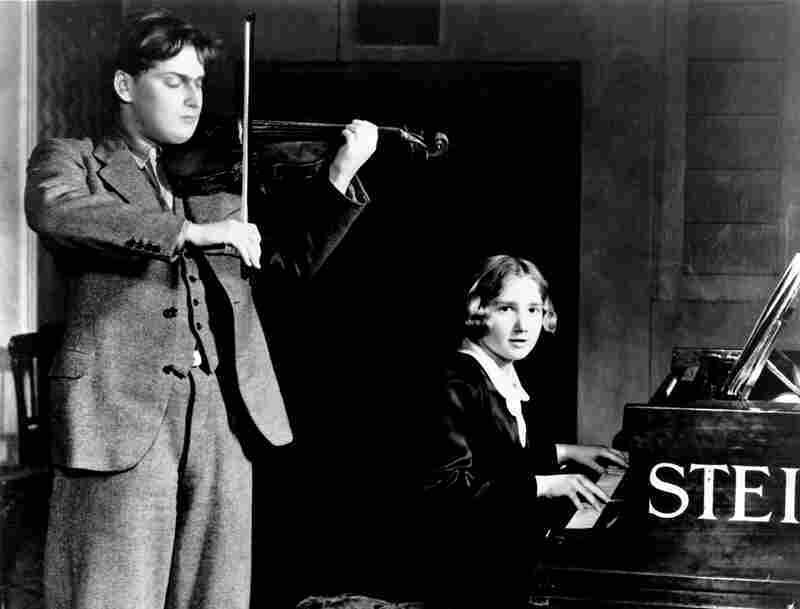 Menuhin's sister Hephzibah, also a prodigy, became the violinist's frequent musical partner onstage and in the recording studio. 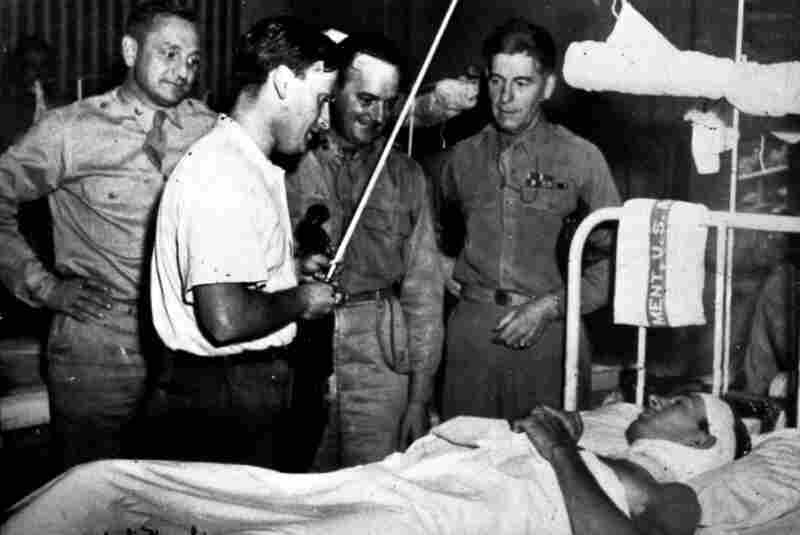 During World War II, Menuhin played hundreds of concerts for Allied troops in hospitals and near the front lines. 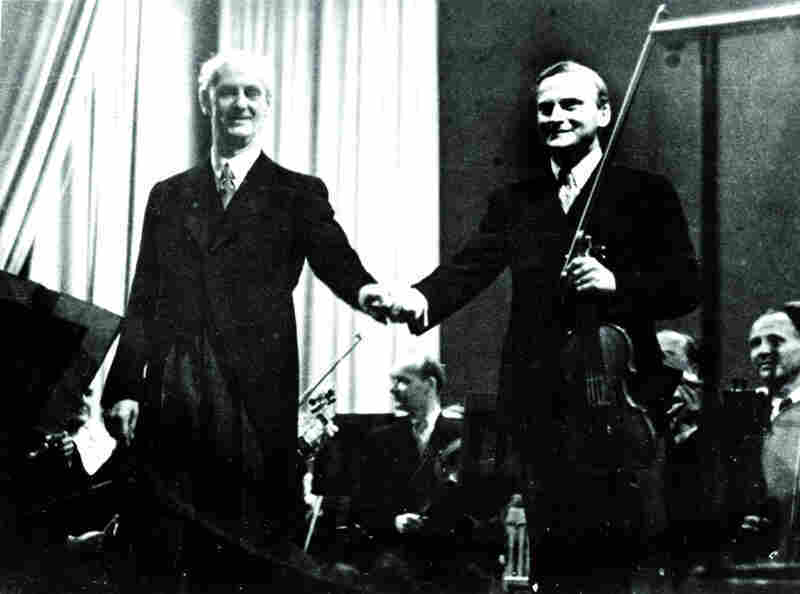 Right after the war, Menuhin shocked his fans and Jewish groups by supporting and performing with famed German conductor Wilhelm Furtwängler, who was accused of having ties to the Nazi regime. 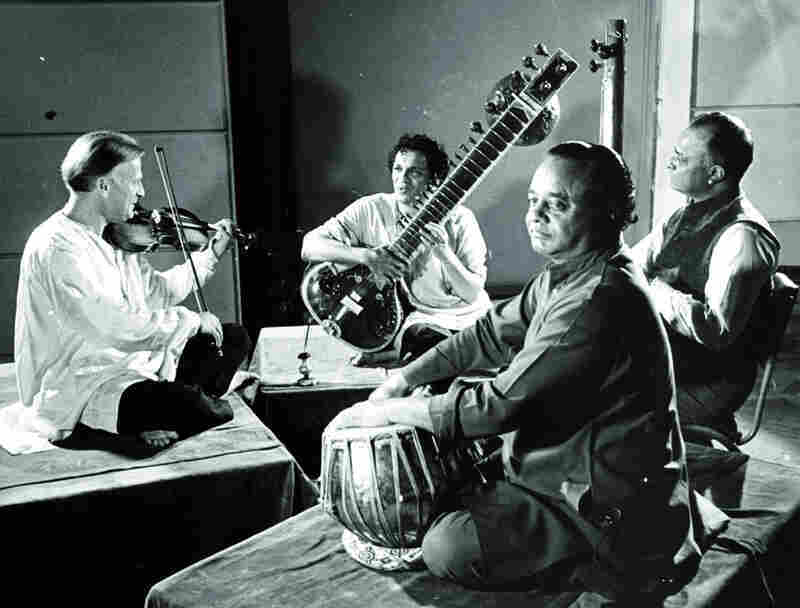 In 1952, Menuhin traveled to India, where he met Ravi Shankar (second from left). The two men recorded three albums together and became lifelong friends. 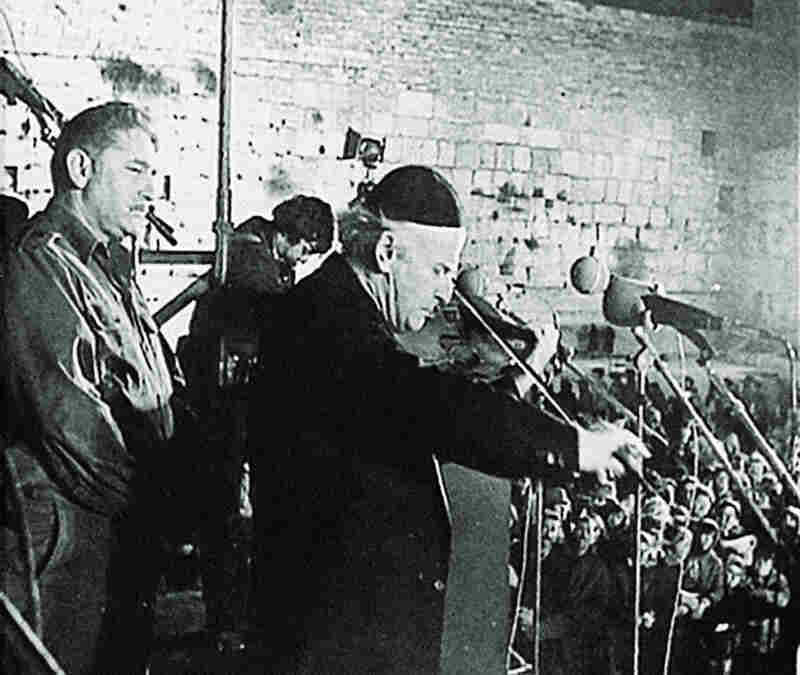 In 1978, Menuhin performed in front of the Western Wall in Jerusalem to mark the Camp David agreement. Beginning with his first concerts in Israel in 1950, Menuhin squabbled with the Israeli government over its treatment of Palestinians. Menuhin also dabbled in jazz, making a number of recordings with jazz violinist Stéphane Grappelli from 1975 to 1981. Later in Menuhin's career, as his bowing technique began to fail, he turned to conducting. He was appointed head of the Royal Philharmonic Orchestra in 1982. "We had life-changing conversations about everything from music to humanism to politics," Hope recalls. "He was very vocal in his disgust of racism and of intolerance in general, and he believed passionately that musicians had to stand up for what they believe in." And Menuhin practiced what he preached. He practically put his career on hold in the 1940s, playing hundreds of concerts for Allied troops in hospitals and near the front lines. With composer and pianist Benjamin Britten, he played for displaced people at the Bergen-Belsen concentration camp just after it was liberated. Monsaingeon says Menuhin's heart was broken by what he saw. "The contact with human suffering made him a different man," Monsaingeon says. "I think one can hear that in his playing. The [Schubert] 'Ave Maria' he would always play, he said to me, as a kind of prayer for those who might not return." Right after the war, Menuhin, a Jew, shocked the worlds of music and politics when he performed with Wilhelm Furtwängler. 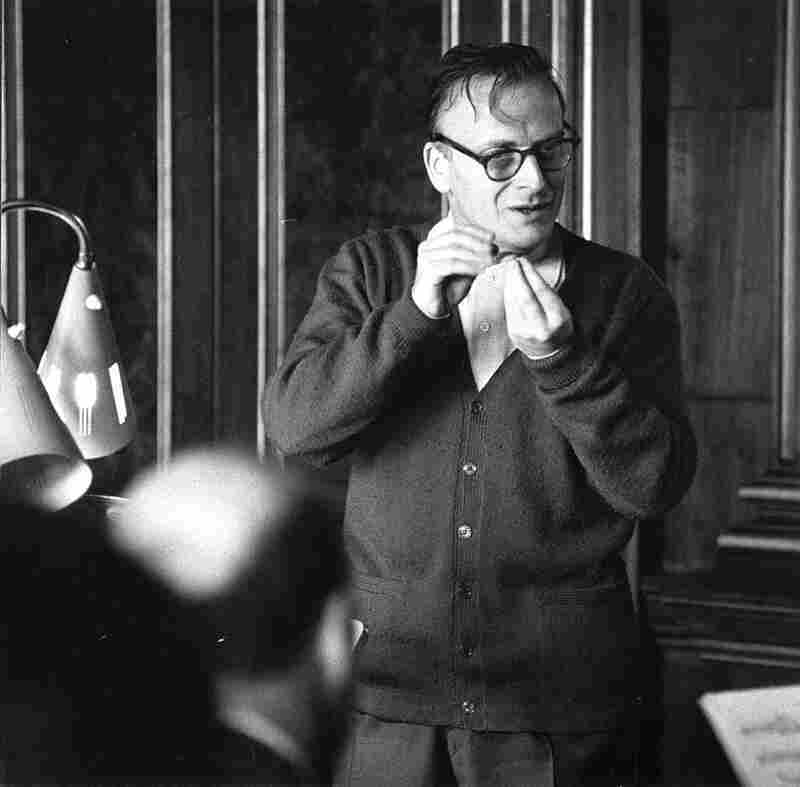 The German conductor had remained at the helm of the Berlin Philharmonic during the war and was accused of having ties with the Nazi regime. 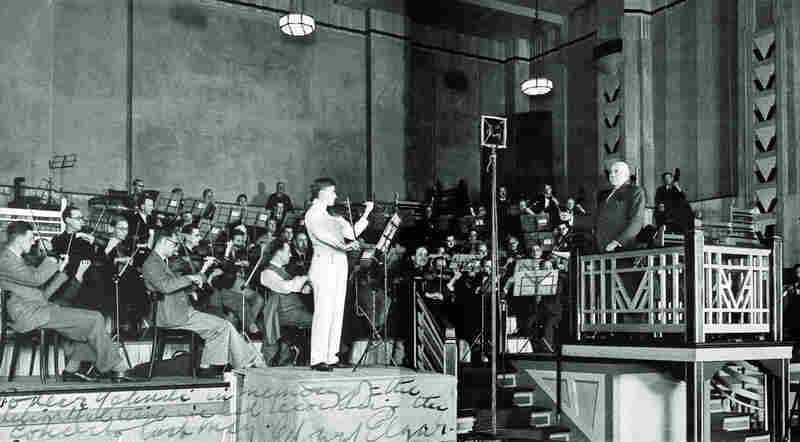 That Menuhin sought Furtwängler out and made recordings with him was a prime example, Hope says, of Menuhin the bridge builder. "His view on that particular time was that we've been through enough of this horrendous hatred and now it's time to rethink and now it's time to come together again," Hope says. "And it was a radical decision on his part to say, 'I'm extending the hand of friendship.' "
Violinist Daniel Hope provides running commentary on a passage from the opening movement of Edward Elgar's violin concerto, recorded by Yehudi Menuhin at age 16. Menuhin later squabbled with a number of governments and politicians. He gave a cunning, and moving, speech to the Israeli Knesset about the treatment of Palestinians. He gave impromptu concerts for poor South Africans under apartheid and disrupted a session in that country's Parliament. In 1952, Menuhin traveled to India, where he studied yoga with B.K.S. Iyengar, a man he would later introduce to the rest of the world. Hope says that throughout Menuhin's final concert tour he could be found practicing yoga in his dressing room. Also in India, Monsaingeon says, Menuhin acquired a strong taste for Indian music. "He heard Ravi Shankar for the first time and was fascinated," Monsaingeon says. "He brought Shankar, immediately, in his wake, to Europe and made those famous recordings of Indian music." Before the Beatles became interested in Indian music, Menuhin introduced it to England's Bath Festival in 1959. 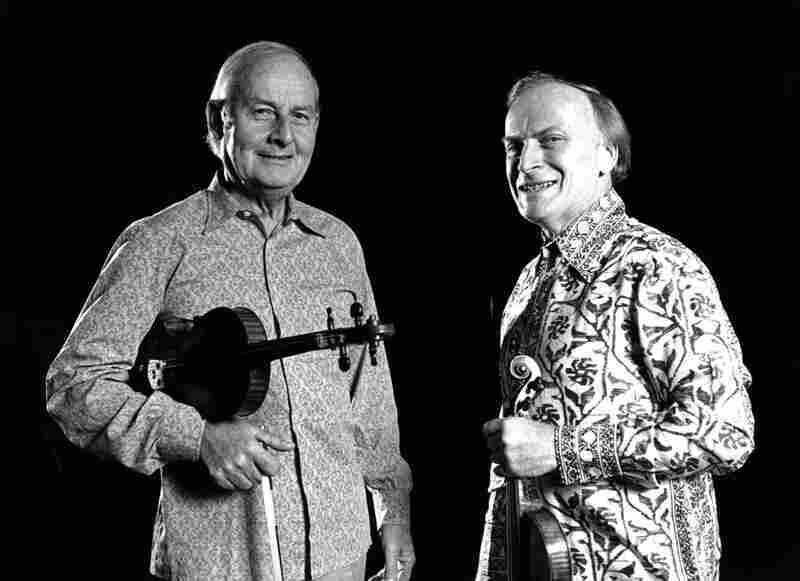 Shankar and Menuhin made three albums together and became close friends. After Menuhin's death, in 1999, Shankar told NPR that one of the keys to understanding Menuhin was his self-effacing personality. "His humility," Shankar said, "I have never seen in any Western musicians and hardly even in Indian musicians, believe me." Menuhin needed a little humility when later in his career his bowing technique began to fail. Little by little, he took up conducting. But Monsaingeon says that even after Menuhin stopped playing the violin, you could still hear the instrument in his performances as a conductor. "The Schubert symphonies have something special in that you can hear Menuhin's violin sound in an orchestra," Monsaingeon explains. "It's something which is really unbelievable because lots of people considered that he was no conductor." Hope, who witnessed Menuhin conducting on many occasions, says that he led orchestras through the strength of his musicianship. "If he had an ensemble of musicians who were willing to work, there could be spectacular results." Menuhin was appointed head of the Royal Philharmonic Orchestra in 1982. With a school, an academy, a festival and a violin competition created under his guidance, and his devotion to health food, world affairs, electric cars and humanitarian charities, Yehudi Menuhin turned out to be many things. But first and foremost, Hope says, Menuhin was a generous human being. "Menuhin was so much more than just a violinist," Hope insists. "He was a passionate believer in being a better person and making a better world." And the way to do that, Menuhin said, was to reach out to people. "One has to have the hunger for communication, for giving," Menuhin said. "One has to have a sense of compassion." That's exactly what pours out in Menuhin's music.